Gabriel Voisin built some amazing cars in pre-war France. 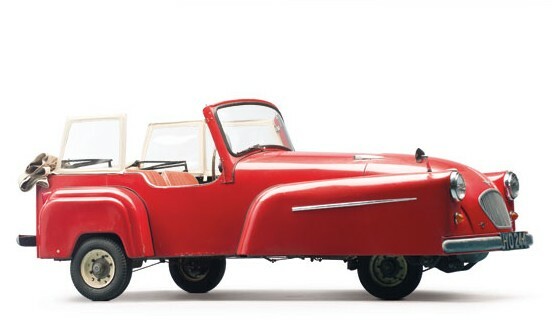 But after the war, the world wasn’t exactly as glitzy as it was prior to it, so he went for something different and designed a tiny microcar called the Biscooter. No one wanted it in France so he licensed it to Spanish manufacturer Autonacional S.A. The body is plastic and the engine is a 197cc single-cylinder making nine horsepower. The Pegasin model seen here was so named because the styling evoked that of the Spanish Pegaso sports car. About 20,000 Spanish Biscuters were built. This one should sell for between $35,000-$45,000. Click here for more info. This tiny Spanish convertible was built by Francisco Gomez Lopez and it was the only one he built. The design is solid and the car is well built – Lopez was a certified engineer who ran a repair shop. It uses a 197cc single-cylinder making 8.5 horsepower. The rest of the car is sourced from other cars of the time. It seems as if he was uninterested in further production, as this was the lone example built. It was restored in 2001 and should sell for between $20,000-$25,000. Click here for more info. 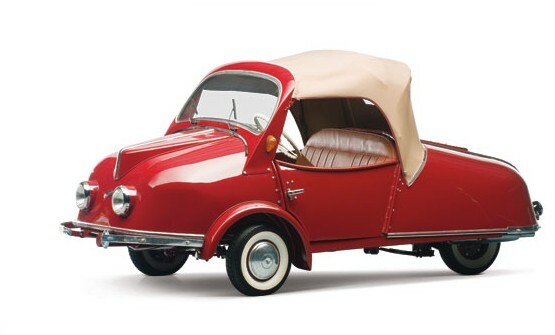 The Isetta was licensed all over the place in the 1950s and 1960s. 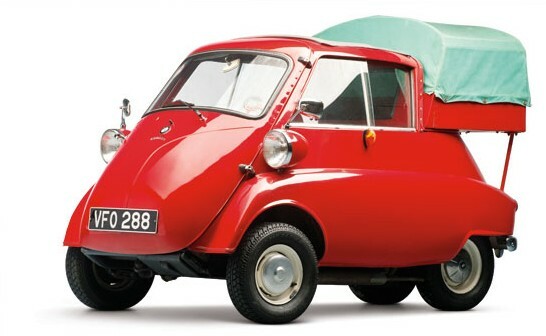 In 1957, the license made its way to the U.K.: Isetta of Great Britain Ltd licensed the car from BMW. These cars wear BMW badges, but were sold simply as “Isetta”s. Production lasted through 1962 but the four-wheeled versions were not popular because three-wheelers avoided automobile taxes, as they were classified as motorcycles. 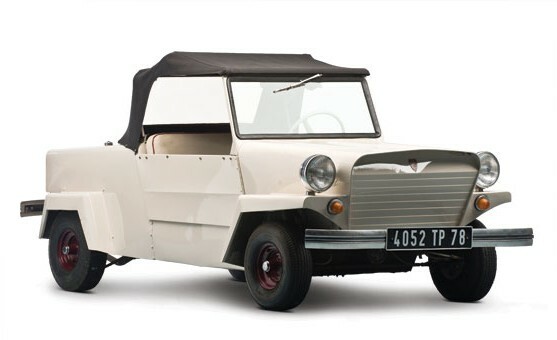 This one is the only factory pickup built by Isetta of Great Britain. It has a 13 horsepower 295cc single-cylinder and should bring between $35,000-$45,000. Click here for more info. After the Second World War, Gustav Kroboth relocated to Germany to build scooters. But when the rainy season arrived in 1953, it never left. This left a big hole in the scooter industry and Kroboth turned to three-wheelers to fill the void. The Allwetter-Roller (“All Weather Scooter) had a convertible top to provide an, albeit weak, defense against the rain. Production began in 1954 and ended a year later. In total, 55 were built and they used a 175cc single-cylinder engine making nine horsepower. This one should bring between $40,000-$50,000. Click here for more info. 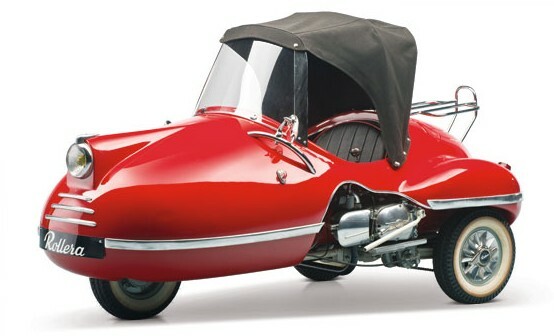 The Mochet name has long been associated with cyclecars and microcars. Georges Mochet built cars under the Mochet name in the 1940s and 1950s. 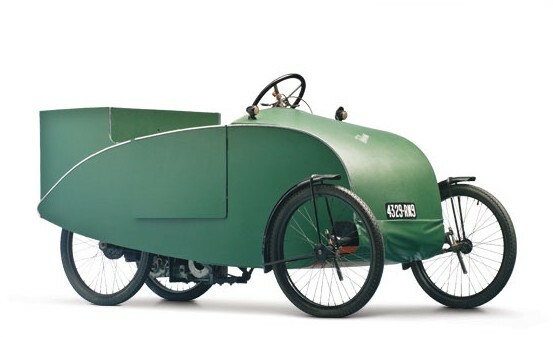 But before him, his father, Charles Mochet, built cyclecars in the 1930s up to the outbreak of war. He only built about 6,000 Velocars and bicycles in total. This Camionette model has such extravagances as a floor. How luxurious! The engine was added (yes, this was a four-wheeled bicycle at some point. Cyclecars weren’t always cars) at some point and is a meager 30cc two-cylinder (!) making 1.8 horsepower. The body is “moleskin” (leather). This is one strange car and you’ll be the only person you know who has one. It should sell for between $25,000-$35,000. Click here for more info. 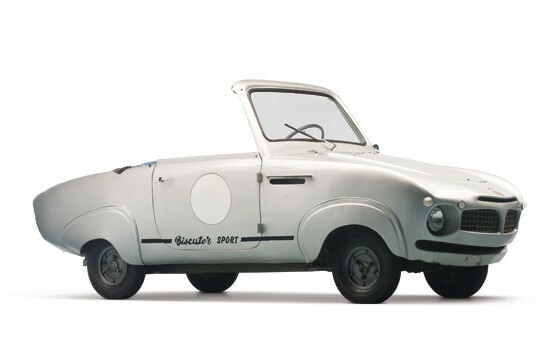 Fuldamobil had a brand new design in 1953 called the S-1 and they contracted a company called VGM to build the rounded aluminium bodies. It cost more than Fuldamobil was willing to pay and they ended the deal after only three cars were built. VGM contacted NWF, a coachbuilder also in Germany (they built bus bodies) and NWF decided to put it into production. 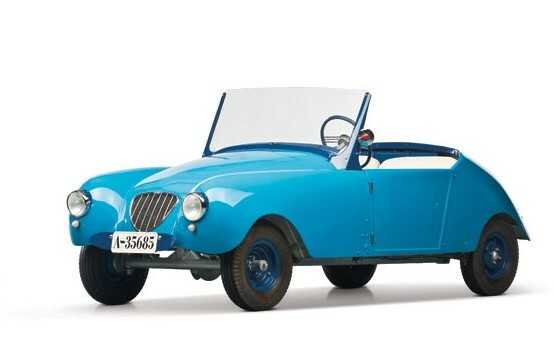 It was identical to the Fuldamobil, but with a different engine – this one being a 197cc single-cylinder making 9.5 horsepower. Only 701 were built and quite a number of those were sold back to Fuldamobil to cover licensing costs. This one is all original and needs some work, but is still expected to fetch between $15,000-$20,000. Click here for more info. This is a French-built licensed version of the Brütsch Mopetta. It’s slightly larger than the Mopetta, but it’s still quite tiny. It uses a 98cc single-cylinder making 5.2 horsepower (how accurate these decimals are getting!). It was built by Société Rollera Francaise and it is unknown how many were built but there are at least three survivors. It should sell for between $40,000-$50,000. You can read more about it here. There is a guy who lives around here who owns a Lloyd LT 600 Minibus and there is a sticker on a back window that reads, in German, “He who is not afraid of death drives a Lloyd.” These cars were small, but they aren’t as micro as something like… well, anything above. You could actually drive a Lloyd and not fear as much about dying as you would in a Rollera. 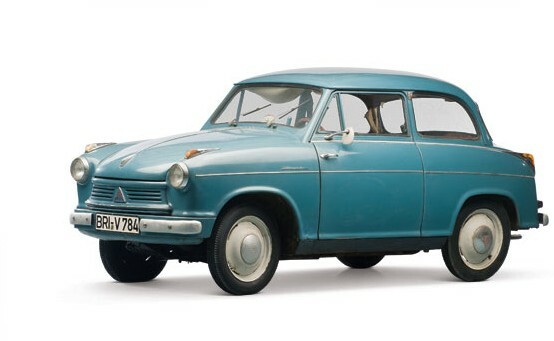 There was even power to be had – 19 horses to be exact, pumping furiously out of the 596cc Borgward twin. The Lloyd 600 was introduced in 1955 but production stopped in 1957 because the cars were too basic. A revamped model appeared in 1958 with the “Alexander” tag attached – it was nice enough to come with a headliner, windows and a trunk lid! This car is a survivor among the 176,516 built. It should sell for between $15,000-$20,000. Click here for more info. The Series II King Midget was the final series of King Midgets. It was introduced in 1957 and lasted until production stopped in 1970. King Midgets were offered fully assembled or as a kit (there’s actually a green one just like this on Craigslist on the other side of town for less than half of the estimate on this car. I really should go buy it). The estimate is $10,000-$15,000. The engine is a 9.5 horsepower 380cc single-cylinder. Of the Series III, 3,400 were built in (or sold as kits from) the Athens, Ohio, factory. I had to describe what one of these looked like the other day and the best I could come up with was “mini Willys Jeepster.” Read more here. 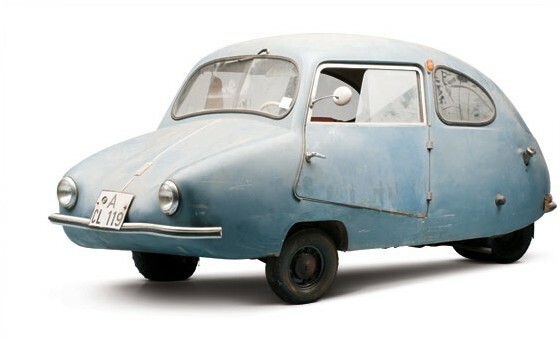 The Mark D Bond Minicar was produced from 1956 through 1958. In total, 3,761 were made. They used a 197cc single-cylinder from Villiers making nine horsepower. A number of different models within the Mark D range were available featuring a small range of seating configurations and trim. This one should sell for between $10,000-$15,000. Read more here. And check out more little cars here. This entry was posted in Uncategorized and tagged 1935, 1954, 1955, 1957, 1958, 1959, 1961, 1965, 200, 200-f, 300, alexander, allwetter-roller, auctions, biscuter, bond, camionette, cars, classic cars, f.g.l., isetta, king midget, kroboth, lloyd, lp 600, microcars, minicar, mk d, motorisee, nwf, pegasin, pickup, rm auctions, rollera, series iii, velocar by classiccarweekly. Bookmark the permalink.